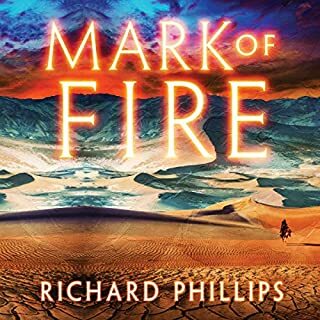 The discovery of a strange and superior warship sends Dion, youngest son of the king of Xanthos, and Chloe, a Phalesian princess, on a journey across the sea, where they are confronted by a kingdom far more powerful than they could ever have imagined. But they also find a place in turmoil, for the ruthless sun king, Solon, is dying. In order to gain entrance to heaven, Solon is building a tomb - a pyramid clad in gold - and has scoured his own empire for gold until there's no more to be found. Now Solon's gaze turns to Chloe's homeland, Phalesia, and its famous sacred ark, made of solid gold. The legends say it must never be opened, but Solon has no fear of foreigners' legends or even their armies. And he isn't afraid of the eldren, an ancient race of shape-shifters, long ago driven into the Wilds. For when he gets the gold, Solon knows he will live forever. ©2016 James Maxwell (P)2016 Brilliance Audio, all rights reserved. As the story unfolds, the listening of it becomes more encapsulating! Great & unique characters, with a well thought out plot. James Maxwell is a brilliant author of fantasy. Up there with the best! I'm such a lover of Simon Vance. His narration, performance and reading tempo is always spot on. Whether it's fantasy, sci fi, horror or prose he'll keep you listening for hours on end! 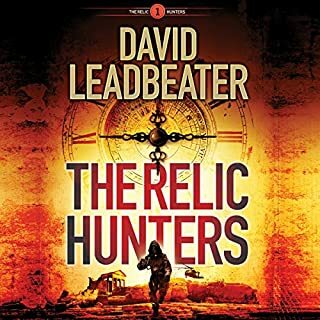 This was a really enjoyable listen, interesting story and the narrators voice really added to the enjoyment. Next in the series is already to go, highly recommended. 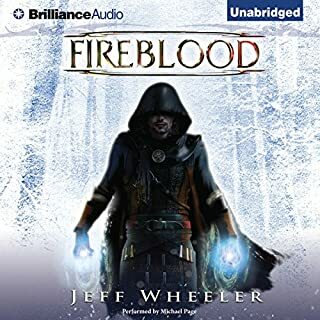 When I need a change or break from my usual genres I listen too, I usually look for an epic fantasy to get lost in, and stumbled across Golden Age. 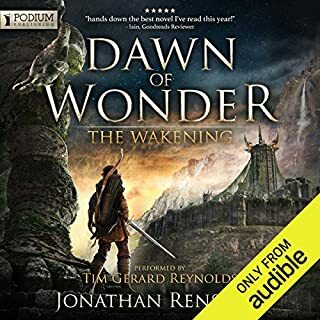 While I don’t think I would consider Golden Age to be an “epic” fantasy, it was most certainly an intriguing, well developed story that capture my attention, and took me on an journey; albeit sometimes an intense journey, with two unique characters as they headed out on their own journey one by choice, the other by capture. Like with most fantasy stories, Golden Age starts off a bit slowly while developing the world, and characters making them appear both real and tangible. However, before long the story picks up, moves at a steady pace all the way till the end. Simon Vance performance was outstanding, and his voice is perfect for fantasy stories. He really brought both the story and characters to life. 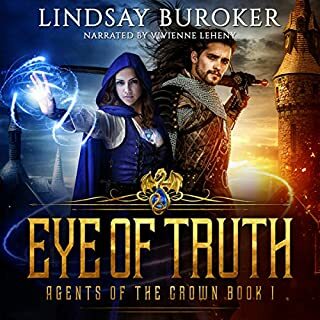 A Kindle Unlimited gem and great story for fantasy fans. viscerally. The story was well written and entertaining, yet along the way some of the characters acted somewhat inexplicably at points of tension. In these situations the author had the characters do incredibly stupid things and the only explanation given is that the situation was stressful. At first I just rolled with it, but eventually it seemed like the author was just doing this to drag out the drama... He repeatedly forces clumsy misunderstandings between characters in situations where any normal person would easily make obvious connections or give one sentence of information and resolution would result. Instead high drama ensues and everyone does something totally idiotic. It got so bad that I couldn't take it anymore and quit the book with an hour or so to go. I was so frustrated at that point that I had to stop myself from chucking my phone across the room. This illustrates why I'm giving this book 2 stars instead of 1. If the book was just bad I wouldn't have cared. But he did a great job of building tension right up to the point of the climaxes and then he repeatedly crapped all over the place instead of having the characters act on their motivations. Also, Simon Vance was great just like he always is. What made the experience of listening to Golden Age the most enjoyable? 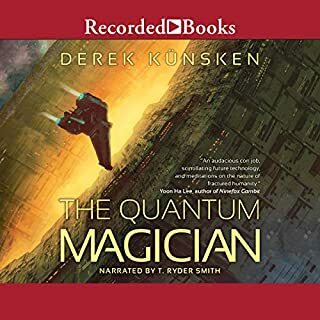 This was a great audiobook of an exceptional story. I'm a big lover of fantasy stories, but tend toward stories that are mostly realistic. I love authors who are careful with the fantastic elements they put in their novels. Golden Age is an exceptional example of such a novel. Almost everything is realistic, with only one major element of fantasy. The fantasy therefore enriches the drama and story rather than detracting from it. 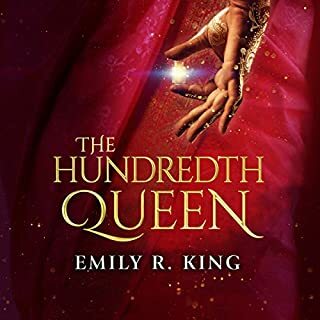 Strongly recommended for anyone who enjoys fantasy, especially for those who enjoy strong female characters. 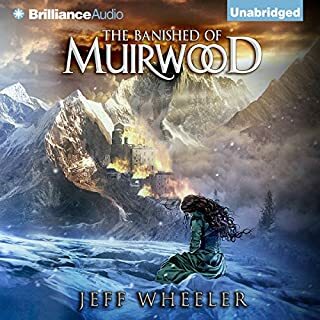 Where does Golden Age rank among all the audiobooks you’ve listened to so far? A fun read, with engaging characters. Great for fantasy lovers. Simon Vance is the best narrator ever!!!! The author once again crafted his characters with appealing and vile personalities for protagonists and antagonists, respectively. The story is as old as Hobbs where peaceful human kingdoms are threatened by an overwhelming enemy military might commanded by a fanatical king. There are fantastical hybrid characters who are mistrusted by humans and who have the ability to transform their civilized human form into huge dragons, sea serpents and giants who end up aligning with both warring factions for their own self-interests. 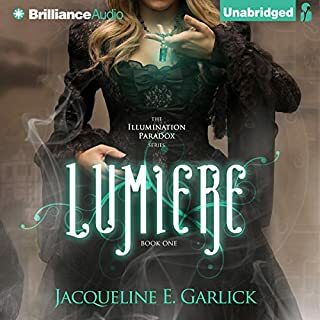 There were a few glaring problems that surface early on, the biggest being that of Chloe, who is the eldest teenage daughter of a peaceful kingdom's head of the ruling high council. In the beginning, when her father hosted the visiting fleet commander of what was to become their enemy, she acted, almost demurely, as a server to the dinner feast. Later, after being kidnapped by this commander to be used as ransom she was befriended by a slave who, in a matter of a couple of weeks taught her several ninja tricks and even sword wielding. She later, like Zena the Princess Warrior, she best many enemy soldiers through guile and boldness. Again, while the characters were well-crafted, the story is not compelling enough to keep me following it. 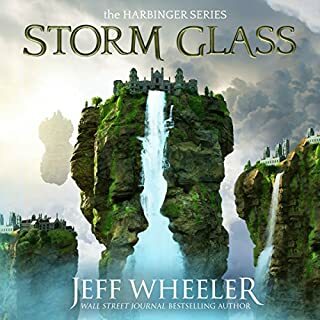 A great opening novel to a series that left me wanting more. Proceeding directly into book 2!! 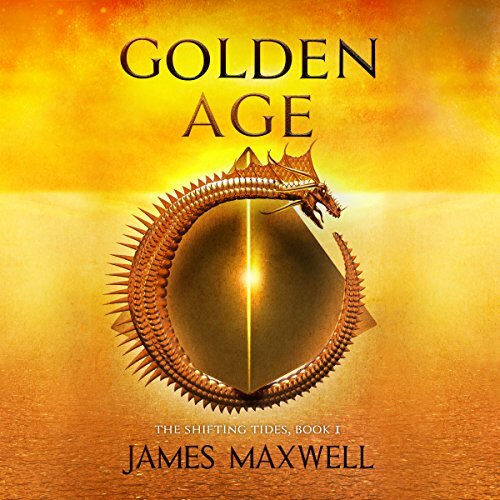 Despite being an introductory book for Maxwell's new series, the story remains unencumbered by the "set-up" and has a dynamic plot that flows seamlessly through perfectly paced chapters (~11 minutes on average). I will admit some bias, as I am a sucker for anything with the slightest hint of greek mythological flavor; however, the originality and unforeseeable details that drive the somewhat predictable climax was what impressed/enthralled me the most. Vance's performance synergistically submerged the reader with its expertly individualized dialogue and sincere tones. I can't even criticize the tragic flaws of the characters because the circumstances were brilliantly crafted so that the limitations were logical. 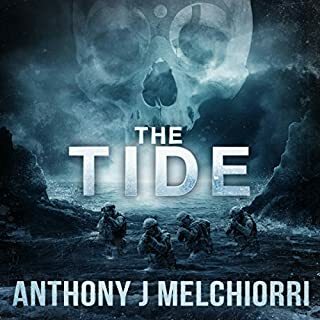 The Golden Age's dynamic plot, compelling characters, and surface penetrating proposed philosophical quandaries earned it 5 stars from me; I'm all too anxious for the sequel. Chloe, the protagonist, is the daughter of the First Counsel of Fulija. 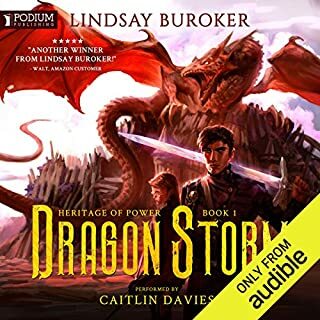 After an unusual natural disaster that demands the help of the dangerous but powerful Eldrin (shape shifting people that can turn into: dragons, servants, giants, furies, and mer-people) her father holds an assembly attempting to sort out how to respond. Additionally, the seismic activity ushered a foreign warship, representative of a mysterious and powerful expansionist nation to their shore. The first counsel welcomes them and allows them to make repairs in his harbor; however, this act of kindness was in vain, as they kidnapped his daughter and gathered reconnaissance for their gold-hungry king. 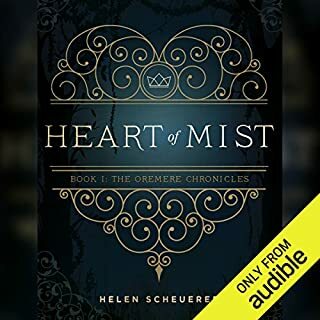 Fortunately, a misfit heir with a unique origin from Fulija's neighboring ally (Xanthos) sets out across the sea to rescue her and learn what he can about this new enemy. 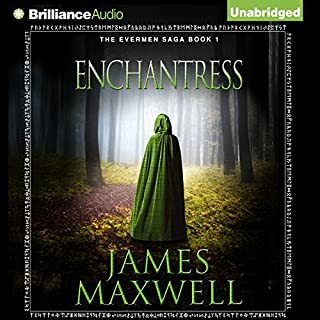 I have to commend Maxwell for expertly alternating between perspectives and suspense-fully sequencing eachs' reveals, as it had me glued to my car stereo from chapter to chapter instead festering in traffic. editing was so so. swords don't make a sound when pulled out of scabbards, etc. 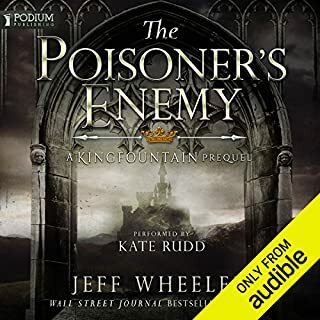 I don't remember buying the audiobook, but it war pretty cool. Had some typical high fantasy tropes here and there, but I guess it's to be expected. Would recommend to anyone who's into medieval/Greek mythos: Dragons, swords and the like. A very enjoyable start to Chloe and Dions' intertwining story . James Maxwell has again introduced us an unique world with interesting characters. 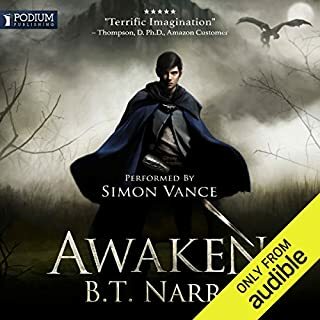 Simon Vance as always does a great job of the narration . 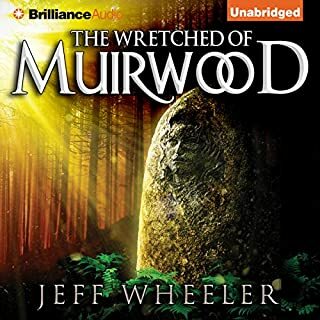 I loved James Maxwell's evermen saga and Simon Vance is one of my favourite narrators so this new series was always going to have huge potential. And I wasn't wrong. What an excellent start to this exciting new series. I absolutely loved it and jumping straight into book 2. Gripping story line, very good audio narration between characters. A well thought out world by the author. Not my most favourite to be honest, I struggled to get into it and almost dropped out. Glad I stuck with it, the final third stepped up and delivered, albeit a little predictively in places. Good end and yes I will listen to the second installment. I sure hope there is a follow up. The reading was excellent with the characters very well played. A great tale and I can’t wait to listen to the next one.